Here's a portion of our stock sitting ready to go this holiday season! Happy holidays, everyone! We're offering free shipping this Sunday and Monday on all orders. No coupon or code required. 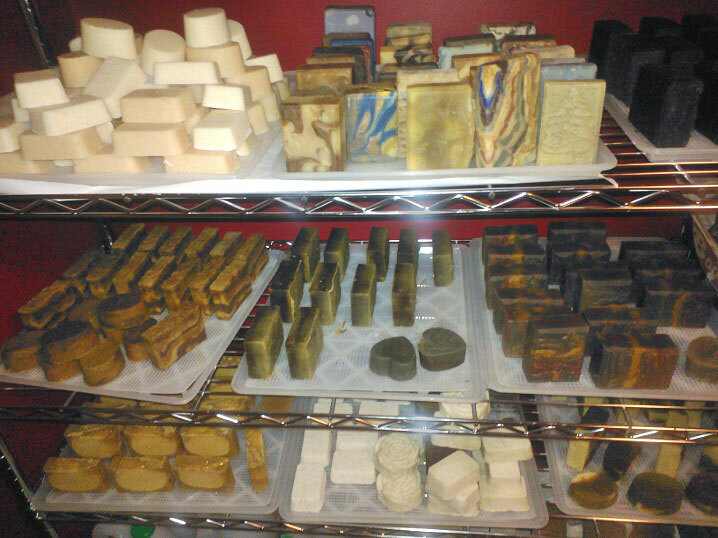 We've got a great variety of soaps that are perfect for gift giving, both full bars and sample sizes. So check out what we've got! Don't forget to visit our Facebook and Pinterest pages for additional news and updates.